If you have been convicted of an offense and received a probationary sentence, your probation agent is given the responsibility of monitoring your actions within the community. If your agent feels that you violated the conditions of your probation, the agent may seek a warrant for your arrest. After being arrested and served with the warrant, a hearing will be held in which your probation agent will typically ask the court to revoke your probation and in impose a period of incarceration. Typical probation violations can range from being convicted of subsequent offenses to simply not following the advice of your probation agent. Any person convicted of a misdemeanor or felony case will be placed on either summary probation (unsupervised) or formal probation (supervised by a probation officer) for a period from 1 - 5 years. These grants of probation carry many terms and conditions that are required to be followed exactly as stated. Essentially completing obligations promised including paying fines, doing community service, possibly doing jail time, appearing for progress reports and filing timely completions of all requirements, is one of the most important aspects of finishing your case. Also, not getting arrested for any other offense during this period of probation is extremely important. Violating any of the above can result in serious penalties including jail. If a defendant is convicted of a crime, the judge may impose a suspended sentence and place the defendant on probation. Probation can be either supervised or unsupervised. Under supervised probation, a defendant will be required to periodically meet with a probation officer. Other requirements are usually imposed as well such as community service, payment of fines and restitution, submit to drug screens, violate no laws, as well as a wide variety of additional requirements. If a defendant violates the terms of probation, they may be required to appear before a judge who may impose the previously suspended active sentence and require the defendant be incarcerated for the previously determined time period. Defendants who are being brought before the court on a probation violation are entitled to have an attorney represent them. Often, an attorney may be able to negotiate with the probation officer, and present information or evidence to the court to help effectuate the defendant's wishes. Continue probation without punishment for the violation. Modify the conditions of probation or extend the period of probation. When you are placed on probation or community control you are advised of the conditions of that supervision. Should you violate those conditions by intentionally and materially breaking the rules, you run the risk of having that probation or community control violated. A judge will be asked to sign a warrant for your arrest and you may be kept in the County Jail pending the results of the violation hearing without bond. A judge has the authority to set bond, but the judge is not required to set a bond. There are several reasons that your probation officer may accuse you of violating your probation. It may be that you violated by breaking a “technical” term or condition, or it may be that you violated by committing a new crime. In some instances, you may be accused of both. Of the two, a “technical” violation is considered the least serious, and may be subject to lighter punishment by the court. Examples of “technical” violations include changing your residence without prior approval, failing to pay fines or restitution, or failing to report for regularly scheduled visits with your probation officer or for counseling. There is not a statute of limitations for a violation of probation, meaning that if you violate your probation you can not wait out the charge. You do not have a right to a trial by jury on a violation hearing. The burden of proof is by preponderance of the evidence, rather than beyond a reasonable doubt. There are defenses to accusations of violation of probation, and we have successfully defended clients accused of violating their probation. 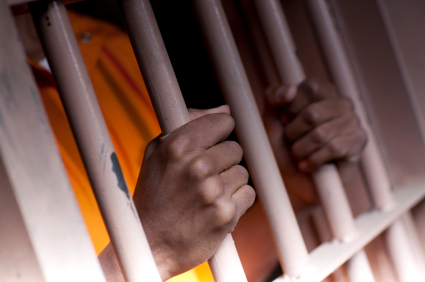 We have represented clients facing probation violations. Contact The Sheena Law Firm today to discuss your situation.